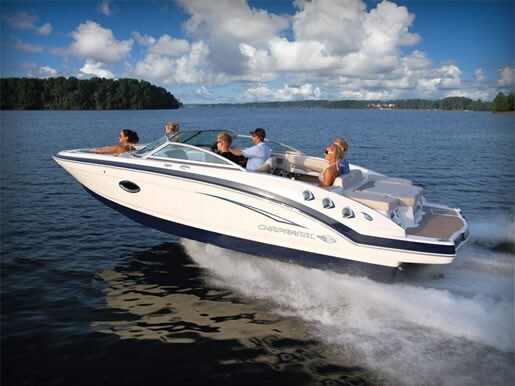 Chaparral is consistently near the top of the list of best-selling fibreglass family boats in North America. And it’s easy to see why; great designs, excellent execution, full product range, and strong dealer back-up. Indeed, in its forty-five year history, Chaparral has won an unprecedented forty-one awards for product excellence including twelve Boat of the Year Trophies! 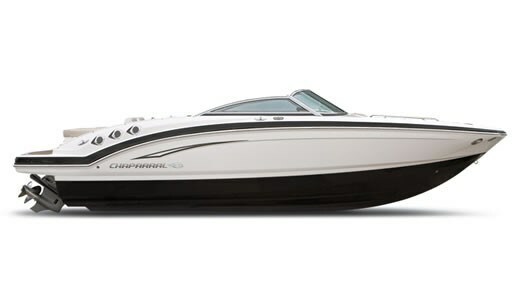 In the past four years, Chaparral has introduced an amazing nineteen new models including three new models for 2011 alone. One of these new models this year is the 246 SSi, the new flagship of Chaparral’s six-model SSi “Wide Tech” line-up of sporty bowriders that starts with the 186. It is part of a fleet of twenty-six models of family bowriders, cuddies, tow boats, deck boats, and cruisers up to the 420 Premiere Sport Yacht. The 246 SSi is one super-sized family bowrider. It is big and deep and loaded with seating capacity, storage everywhere and all of the amenities for a full range of family activities and fun on the water. When you first step aboard the new 246 SSi, it’s easy to see why Chaparral is consistently a leader in its class. Quality touches are everywhere you look. Just feel the upholstery for instance. It is not only soft and luxurious to the touch, but it is made from extra thick 36-ounce “Dura Life Max” expanded vinyl to better hold its shape and has a 10-mill top coat to provide a protective barrier. Lounge seat cushions have a “flow foam” layer between the structural foam and the “StarLite” composite seat base to aid in the escape of moisture. The “Dura Life Max” bucket seats not only have lumbar support and a flip-up front cushion, but built-in spring cushioning support along with the normal foam. Two beautifully executed adjustable bucket seats and a U-shaped lounge completely fill the huge cockpit area providing total seating for at least eight adults in comfort. The lounging bow seats with full backrests easily accommodate another two adults stretched out. The 246 SSi is actually rated to hold fourteen persons if the need arose. Finished storage is provided beneath all of the lounge seats in both the cockpit and the bow. Additional storage is found along both gunnels plus the in-floor locker which is large enough for a wakeboard. Accessed from the starboard side bow backrest, another huge, dry compartment is available within the driver’s console, and the passenger side full-size head compartment with easy clean full fibreglass inner liner comes complete with its own storage compartment plus doubles as a hanging locker with the full-width rod supplied. A porta-potti toilet is optional. A 25-quart carry-on cooler has dedicated storage beneath the portside sun lounge cushion. The starboard side cushion of this sun lounge folds flat, angles into a chaise lounge, or flips out of the way for easy access from the huge integrated swim platform into the cockpit. The 246 SSi is built on Chaparral’s Extended V-Plane hull design which extends the running surface further aft for quicker planing and maintaining plane at lower speeds. The hull itself is reinforced with Kevlar™ in critical areas. Chaparral’s exclusive Cockpit Drainage System (CDS), standard on the 246 SSi, routes water into molded channels under the seats, in the storage lockers and throughout the cockpit to prevent any accumulation of standing water. The patented SSi Wide Tech bow design provides added room up front while maintaining the performance benefits of a deep-vee bottom. The SSi sport helm provides fog resistant, glass-lensed analog instrumentation with attractive brushed aluminum faces and stainless steel bezels with a dimmer control. Accessory panels have dual illuminated LED switches and water resistant DC breakers. A digital hour meter is standard as is a polished spoked, custom “sure grip” tilt steering wheel. New for 2011 is the Dune three-tone tan upholstery with a colour coordinated helm and matching side panels. Add the optional Driftwood package with woodgrain accents on the dash. Additional analog or digital gauges are available in Convenience packages as are several choices of Garmin GPS units. Four engine/drive options from each of MerCruiser or Volvo Penta are available for the 246 SSi ranging from 260 to 320 horsepower. Most buyers will likely choose power in the mid-range from either manufacturer and achieve the performance results appropriate for a boat of this size. The 246 SSi looks like another winner for Chaparral, and definitely a winner for the customer who purchases one. It is a classy boat. It is huge, spacious, comfortable, roomy, and versatile and fully outfitted to provide every aspect of on-water pleasure and fun for the entire family – and all of their friends and relatives too!